The east coast of the US is vast and filled with amazing spots to visit, one of which is Florida. Aptly called as the Sunshine State, Florida never fails to put a smile on the faces of tourists that visit it. As the 22nd largest states in the US, Florida is bound to have a place for every type of traveler but for those that want to live life at its fullest, then a visit to Key West, Florida should be on the bucket list of those that want to do so. Popularly known as The Conch Republic, Key West, Florida is an island and city located in the Straits of Florida. It is at the southernmost end of the acclaimed Route 1. 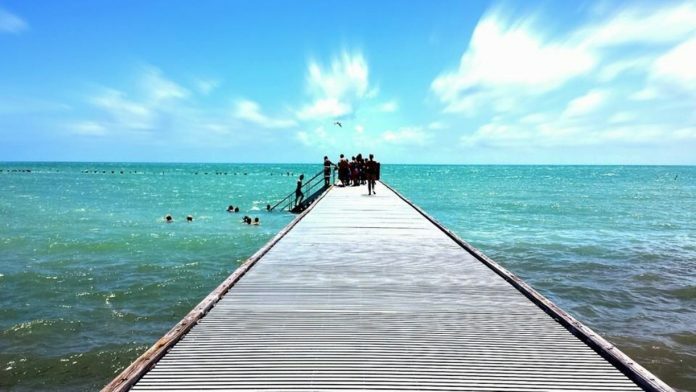 Spanning at about 4 miles in length and 1 mile in width, Key West is a popular tourist spot not only for tourists from other parts of the world, but also from travelers in Florida. Back before the colonization of the US, Key West was inhabited mainly by the Calusa People. The first European expedition that lead people to the area was in 1521, headed by Juan Ponce De Leon. When it became a Spanish territory, Key West was mainly used as a fishing and salvaging village because of its location that made it easily accessible by boats. In the following centuries, Key West was stuck at the center of ownership issues between other various explorers. The US claimed ownership to the land only on March 25, 1822 when Lt. Commander Matthew C. Perry planted the American flag on Key West’s soil. There was no contention for Perry’s claim. The area was relatively empty up until 1912. During the year, the patch of land was connected to the Florida mainland via the Overseas Railway extension of the Florida East Coast Railway. The early settlements in the area was destroyed by the Labor Day Hurricane of 1935 but since then, the surrounding government and the US helped rebuild the city. More tourists and settlers came to the area when Pan American Airlines was founded in Key West in 1926. The flight path of the airlines was originally made to fly visitors to Havana. Also adding up to the Key West’ boom into industrialization were regular ferry and airplane services which were present up until the Cuban revolution of 1959. Despite its early struggles as a part of Florida, Key West has since recovered to become a city that thrives on tourism. It is now filled with a vibrant population of locals and tourists that are getting the most out of the natural wonders in the area including its pristine white sand beaches. Key West, Florida may be small compared to other major city attractions but that does not mean there is a lot less to explore in it. In fact, there are quite a few activities and places worth experiencing once setting foot in Florida’s pride and honor. Before diving into those, here are a few things to know about Key West first. 1 What is the time zone in Key West, Florida? 2 When is the best time to visit Key West, Florida? What is the time zone in Key West, Florida? Key West, Florida is in the Eastern Standard Time which is 5 hours behind the Greenwich Mean Time. The area is lively 24/7. Its attractions and beaches are filled with tourists and locals during the day. At night time, the hours after dark are kept lively with clubs and parties happening in various parts of the area. Travelers should not have to worry about landing in Key West during dead hours as there is no such thing in the area. Public transit like taxis and buses are always available so getting around town and into hotels are relatively easy regardless of what time it is. But of course, it is always advisable to arrive in the afternoon so there is enough time to rest for the following day. When is the best time to visit Key West, Florida? According to locals and tourists, the best time to visit Key West is between March and May. During these months, the crowd that came from the winter vacation are starting to grow smaller so the hotel rates are becoming cheaper as well. To top it all off, the weather during these months are cool and breezy making it ideal for long walks and traveling. There are also quite a few exciting events to take part of during these months. In April, the locals celebrate the Conch Republic Independence Celebration which plays a huge part of the area’s history. Also in April is the Taste of Key West which is a feast of all the best that the area has to offer in terms of culinary wonders. Other events include the 7 Mile Bridge Run, Afro Roots World Festival and the Key West Songwriter’s Festival. 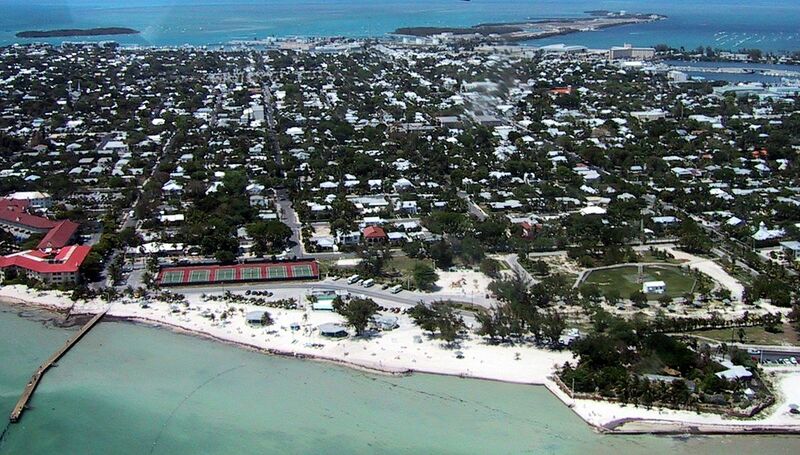 The summer season is also a good month to visit as these days see the fewest tourists in Key West. Hotel rates are at their best during this season but there are a few risks in visiting Key West during this time. This is a rainy period for Key West and in Florida in general. The chances of hurricanes are fairly high so it is best to check out weather conditions beforehand. Although it is not fair to say that there is a bad month to visit Key West, the days between December and February are not advisable for travelers. The cold weather makes the beaches harder to enjoy. On top of that, tourists are bountiful during these months and hotel rates are rather high as well. The influx of visitors are caused by the exit of the hurricane season so it is really hard to blame them for getting all riled up to visit the area. They say that the best things in life are free and some of these things can be found in Key West, Florida. Yes, traveling to Florida doesn’t have to ruin your bank account as it has some awesome spots that will still give you the best travel experience for free. The Key West city is one of which and in case you’re planning for a trip here, here are some of the best things to do in Key West for free that you and your family will definitely enjoy. 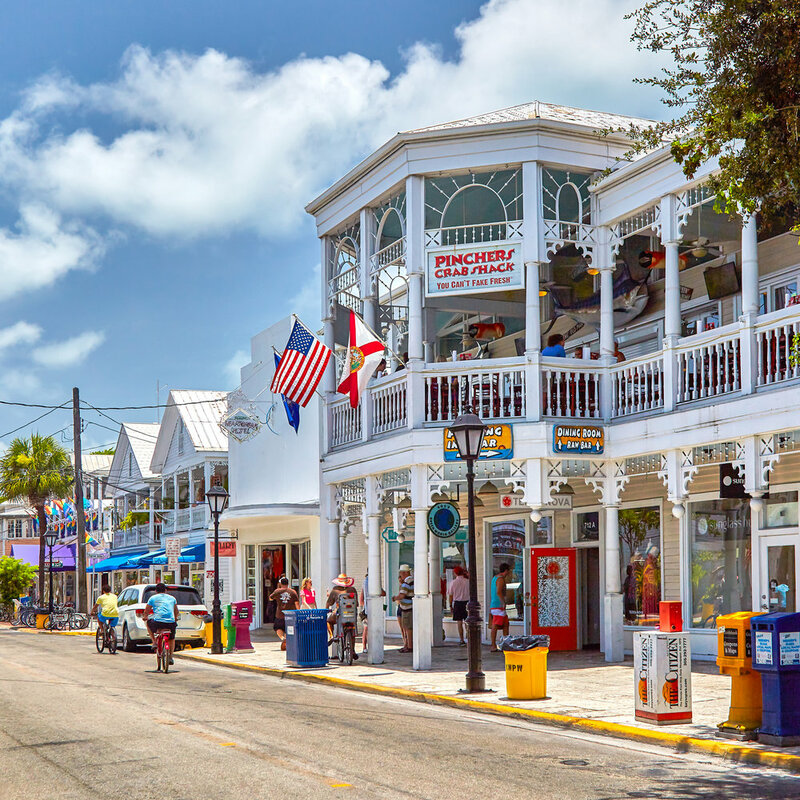 Key West, Florida’s Duval Street is one of the places that is well-known among tourists. This is because it has countless restaurants and shops that are designed to entertain tourists and even those who are cruise ship passengers. Its commercial establishments have nice structures that give some of the nicest views in the city. But aside from sightseeing, this place is also known as a host to a number of events and festivals. 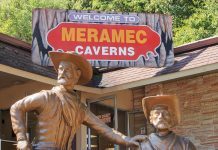 One of the popular events is the Hemingway Days Festival that’s held every Summer. You can get to celebrate with the locals plus fill your eyes with festive sights and man-made bull on wheels parade that would make you feel like you’re in Pamplona, Spain. So you might want to plot your schedule ahead to witness parades like this as it’s one of the best things to do in Key West for free. If you love watching sunsets, don’t forget to go to Mallory Square as it’s one of the places where you can enjoy a nice view of it. 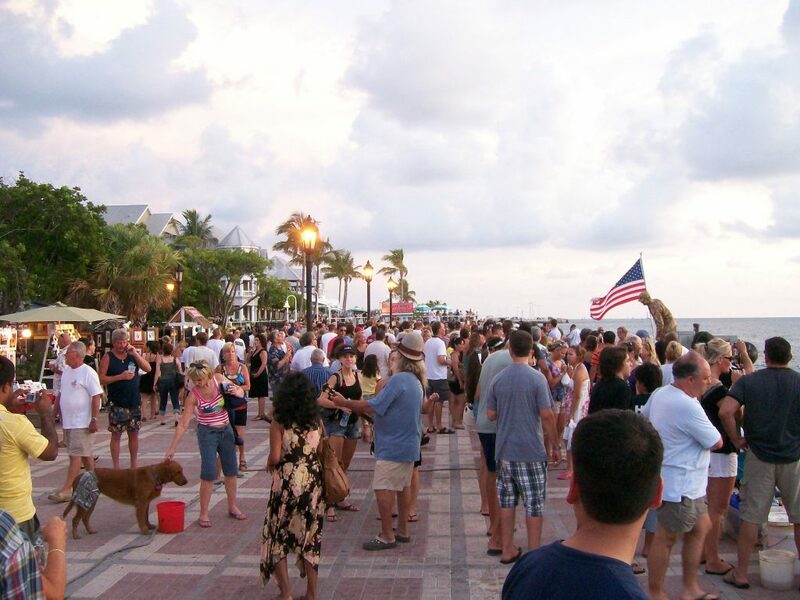 But aside from the breathtaking sunset view, the entertaining performances that the place has to offer are also one of the best things that you can enjoy in Key West for free. Yes, you read it right, free entertainment. As the sun sinks into the sea, prepare yourself to witness a nightly sunset celebration in Mallory Square. 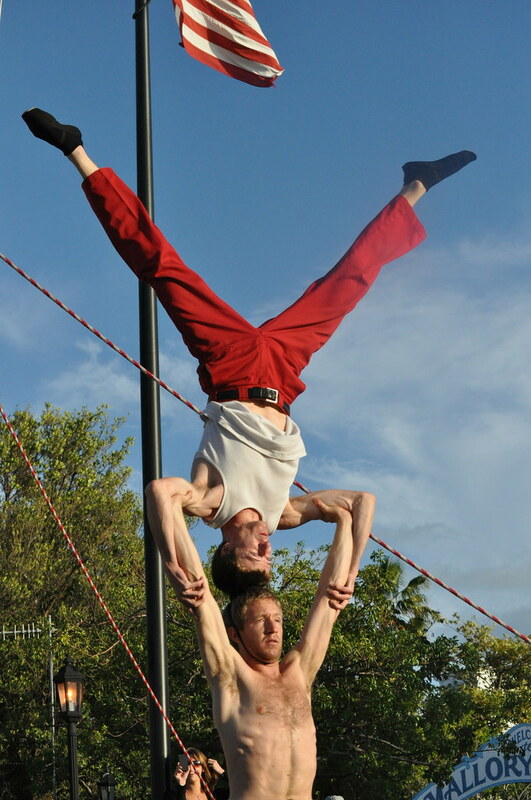 Here, you can get to see acrobatic performances, guitarists, and even sword swallowers entertain the crowd. You can even get to see Will Sotto, who is a famous comedian, magician, and crowd pleaser, perform brilliant stunts. It’s no wonder a lot of people gather here. Okay, this may sound weird but visiting the cemetery is actually one of the best things to do in Key West for free. A cemetery may seem like an odd tourist destination but at Key West, you’ll definitely be entertained. 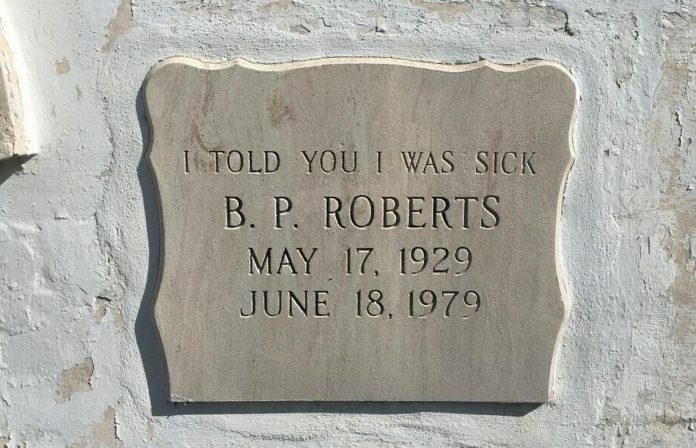 This is because you’ll find unique and funny epitaphs on gravestones. One of the famous graves in the cemetery is that of B.P “Pearl” Roberts that has an inscription that humorously says, “I told you I was sick.” There are also graves that are adorned with unique sculptures like the grave that belongs to Archibald John Sheldon Yates that’s decorated with a statue of a naked woman with her hands tied behind her back. There are some who used literary references for their graves as well. Aside from the fun new attractions that you can find in Key West, the city also boasts of a lot of historical sites and fascinating stories to tell. One of which is the old houses that belonged to some of the city’s first residents. Yes, you can tour around the island city’s old houses as Key West is filled with old homes. But, not all of them welcomes tourists inside for free. 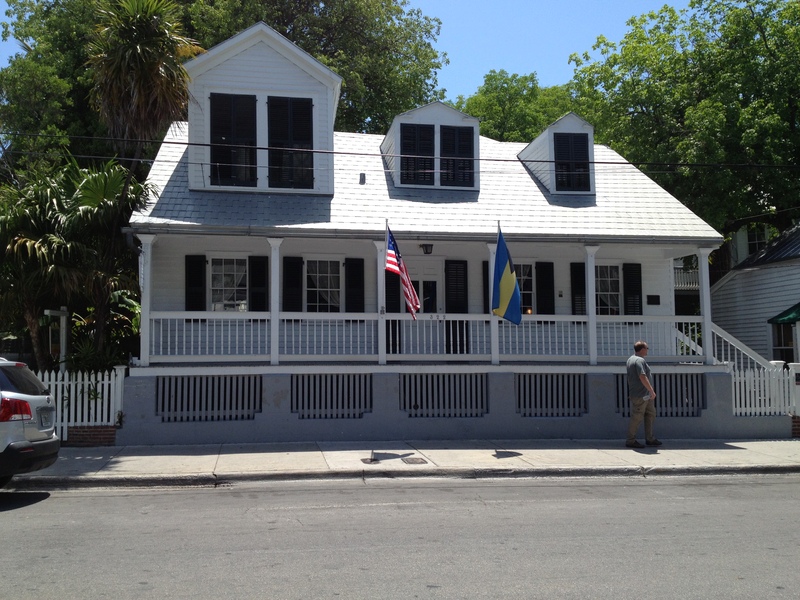 The oldest house in Key West, however, allows you to take a tour inside for free. As you stroll down the busy Duval Street, you can easily walk right past it. Here, you won’t just get to see a piece of the history of Key West but you can also get to know more about the family who once lived here. 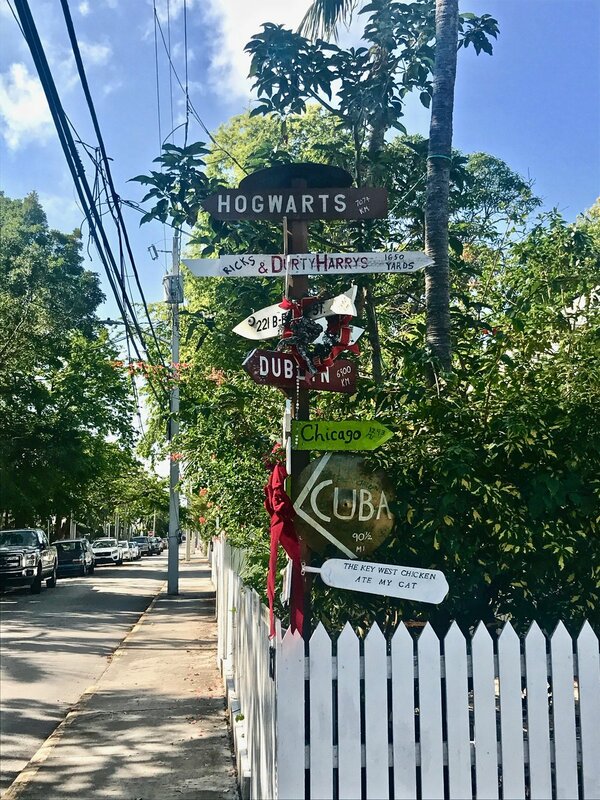 What makes it also one of the best things to do in Key West is that you can enjoy the quiet and shady backyard that it has as well and here, you are free to stay for awhile as you try to escape the busy Duval scene. Key West beaches are not as glamorous nor as popular as the Smathers Beach or any other beach that you’ve been to. Even so, it is still worth the visit and it’s still one of the best things to do in Key West for free. Here, you and your kids can enjoy the sand and even have a picnic. There is also a grove of palm trees that will provide a nice shade as you relax and admire the sights that it has to offer. If you get bored with the water and sand, the Higgs Beach also has several historic and cultural attractions. One of which is the African refugee cemetery where you can find a big interesting memorial marking the site of the cemetery where African slaves were buried after they were rescued in the 1860s from slave ships. In addition to that, the beach has a playground where kids can play along too. What’s even better is that the parking is free plus you can bring your dogs with you. Exploring the big aquarium that the Florida Keys Eco-Discovery Center is one of the best things to do in Key West for free. Yes, you read it right. Not all cities’ oceanariums and other marine sanctuaries often allow visitors to see their exhibits for free. But in Key West, you can do it for free. 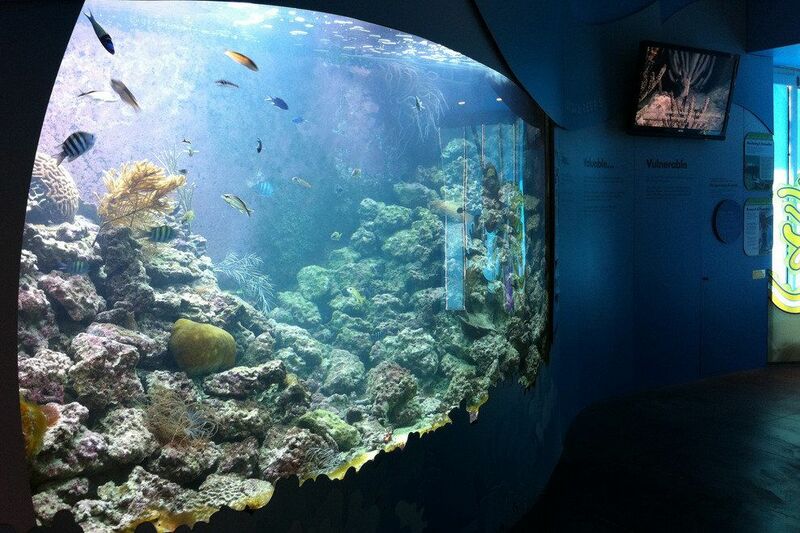 Here, you can get to see a lot of living corals and tropical fish on a big 2,500-gallon reef tank. Aside from filling your eyes with sights of marine animals, you and your kids will also be filled with knowledge as the center also offers several educational exhibits that will surely enlighten you and will make you appreciate the marine life even more. The center also offers a nice short film that you and your kids will definitely love as well. Here’s another fun part of the visit for adults: it has free parking. But note that the center is only open from Tuesdays to Saturdays, from 9 AM to 4 PM so you might want to plan your trip ahead. There are a lot of tour packages that this island city offers. However, the best one could cost you a minimum of $30. If you’re on a budget, it’s not quite a good deal as you can just tour the city on your own… well, sort of. Apparently, you can tour the island city with an app and a printout guide. Here’s how to do it. First, you’ll need to print out the Pelican Path Self-Guided Tour of Key West. You don’t need to worry about its accuracy or whatnot as it is created by the Old Island Restoration Foundation. This printout provides stories behind more than 50 historic buildings that you’ll be able to see as you stroll the charming lanes of the island city. As you visit the historic sites, you’d need to look for historic markers and you can use your phone (just dial 1-305-507-0300 plus the marker number) or smartphone’s app (just download the “Explore Historic Key West” app) to hear a more detailed historic narration of each of the historic site that you want to more about on. Also, check out the Key West historic marker website if you want to know more about the markers and narrations listed. You can also use the Florida Stories app, which is actually from the Florida Humanities Council. But note that this tour will only take you to 12 key locations but it still includes interesting and entertaining stories of the Key West’s past as well as its people. Traveling is such a nice thing to do to reset your mind and body. 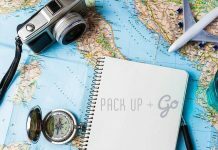 However, many people tend to let their opportunities to travel because truth be told, a lot of tourist destinations would require you to spend a lot of money to fully enjoy the place. Even so, there’s still a way to explore new places and unwind at the same time without breaking the bank. One of which is by visiting Key West, Florida. 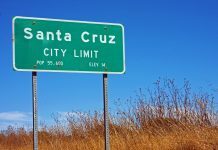 This is because it has several awesome attractions and activities to offer for free, especially the activities and attractions that we have mentioned. If you have tried these out, tell us how it went in the comment section below.